How Far is Avenues Senart City? Avenues is a premium residential layout, which will offer its residents a living experience of a different kind. As part of Senart city, Avenues is being built as French themed town on a 36 acre land containing expansive Villa plots only for the premium craved citizens used to living abroad. This will house wide expansive International qulaity roads with Cycling, Jog tracks & designed pedestrain pathways along with multi themed landscaped parks, large number of pools & water-bodies. Booking are currently open for select few. Know how your “Luxury Villa” is shaping up, Aesthetically built, and named after a famous French City, Senart City has become the prized destination for Bangaloreans. 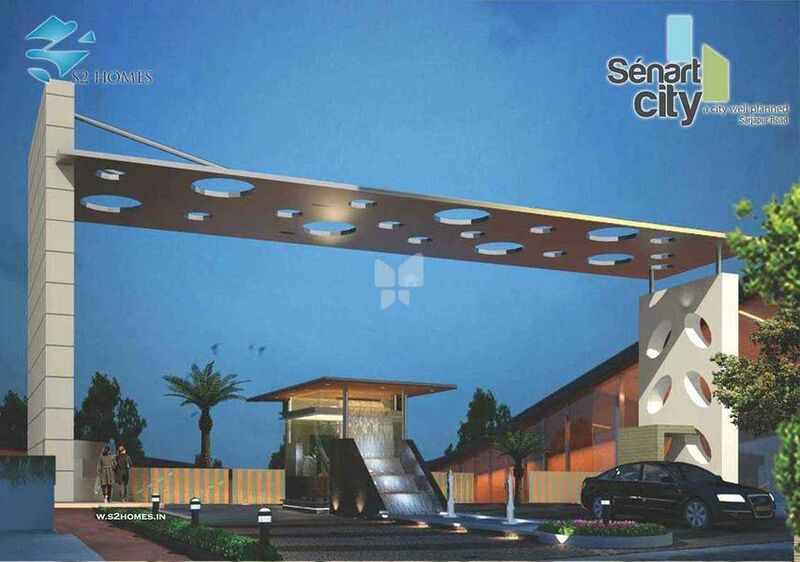 And Senart City’s Avnue is yet another marvel from the house of S2 Homes. S2 Avenues offers premium villas for those with a distinct taste.Approximately with 310+ villas, Avenues is located with in 3 sectors of Senart City offering different form of residential options per sector and varying different levels of views over the green courses and adjoining a natural lake forest of 40 acres. Each measuring from 2250 sq ft up to 3000 sq ft, Avenues lets its residents stay in the lap of luxury, with the comfort of expansive 3-5 bedrooms, surrounded a green course and a pool. These villas will be the ultimate in ultra modern residences when completed they will stand out as ‘the place’ to live in. Starting at a price range of Rs. 99 lacs, Avenue is perfectly located between Electronic city & White field belt and the upcoming Infosys 250 acre SEZ, other upcoming malls & large projects by reputed builders. Go ahead, seize tis opportunity to book a home that’s more luxurious in every sense. Prominent Location:Avenues is surrounded by all round development – companies and residential localities in the vicinity. Unlike other layouts in the vicinity, located in deserted areas – without human habitation. Also, the layouts are located close to the upcoming Outer Ring Road, connecting the airport. Quality Roads:Avenues comes with RMC mixed Concrete roads, which are double in price than bitumen TAR roads(TAR Roads wear out in one rainy season). Power Cabling: Under Ground Power cable to each & every plot, others offer either overhead lines or just 1 cable at starting of each cross/block. Modern Street Lights: Comparable with the best. Sprinkler Systems: So the layout lawns will remain green forever. English County Outlook: Avenues comes with Christmas Palm Trees (samples on display). Pathways & Landscaping: All roads will have pathways & landscaping with sprinklers to give rich look. Welcome Arch: Avenues will have a magnificent entrance arch. Permanent site management office: To ensure proper delivery and maintenance of property, a site office will function even after the handover. A service charge of Rs.18000 per plot will apply for 2 years. Covered, Concrete Drains: Storm water drains on all roads, including side roads. Sewage Treatment Plant: Operational with high-end machines along with an RCC room. Higher Ground Level: Avenues is placed at higher ground and evenly spread. This will ensure no water logging during heavy rain, unlike other layouts in the vicinity. High Wall Security: The layout comes with 7 feet rised compound wall, all across with 24*7 security, whereas the vicinity projects are building just 5 feet height walls. Complete Maintenance: Maintenance of all parks, cleaning of roads & protection of all material will be done by us even after completion of the project with very nominal charges. Children Play area: Avenues is bestowed with good children’s play area & playground, unlike other layouts in the vicinity. Rainwater harvesting & sewage treatment walls Overhead tanks and sumps for storage of precious water Rock gardens Large children play ground Spiritual zone and avenue trees all around.